Enter July. Things should start to get interesting right about now. 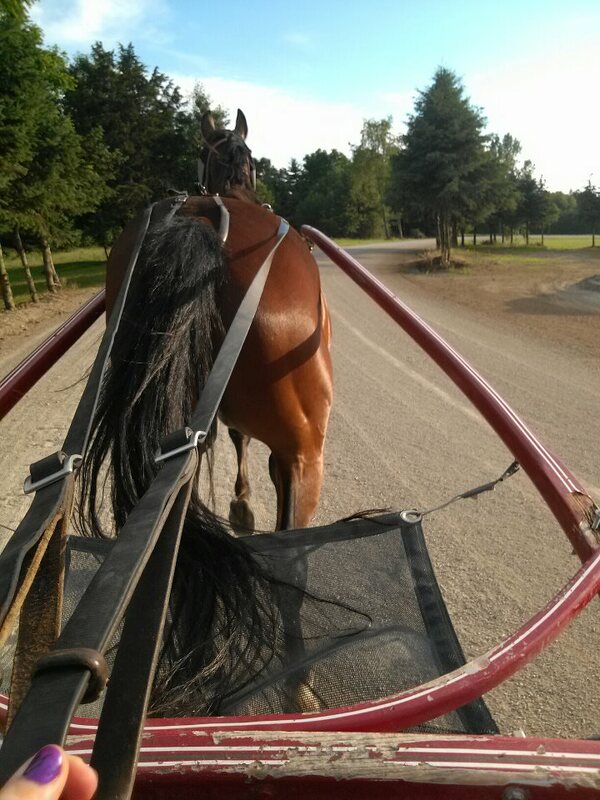 That is, aside from the bevy of harness racing all over the continent, the creams of the freshmen and sophomore crops on both gaits and from both sexes are beginning to jockey for position, so to speak. Even though the Meadowlands Pace is no longer a million-dollar event, it is a brand that any of the colt pacers dropped into the box for the elims this Saturday want on their resume. And the Yonkers Trot, though it has been reduced to short fields and doesn’t attract some great horses because their owners are wary of racing on the half-mile oval, still demands black type on a horse’s pedigree page. As the Grand Circuit grinds through the thick summer haze, landing this weekend at the Meadowlands and Dave Palone is poised to break Herve Filion’s record for most wins in a lifetime—a mark that will be treated with superior attention inside the sport but disappear like a whisper in an Egyptian street riot outside the sport, players are primed for profiting from the good, the bad and the misfortunate. Hambo-hopefuls are in peril of losing the classic Yonkers Trot to a colt whose sire is a pacer. Googoo Gaagaa is on automatic, smashing speed records and testing the division that will send its best—sans “Googoo,”—to the August classic. As well, Pennsylvania All Stars events host trotters at Pocono, there are Grand Circuit miles for both sexes at the Meadowlands and Hazel Park has some sweet hopefuls lines up. For the analysis of the big events, go to our exclusive Hambletonian Trail and then follow through with result stories (and the archived stories of all the eligibles performances in stakes since May) at the Hambletonian Society. This weekend is one of the most promising, yet disappointing, weekends on the racing calendar. This year, 16 glamour-boy pacers will be looking to make their mark in history, but first have to qualify for the final field of the Meadowlands Pace. Aside from missing super-pacer Warrawee Needy, there are a pair of all-star elim fields. Last year, Big Jim came off a great win in his elimination only to lose by a 1/2 length in the final to Roll With Joe. Two years ago, Rock N Roll Heaven opened eyes in his elimination score, pacing in 1:47.3, the fastest mile ever in the eliminations for this event. He came up short through torrid fractions in the final to lose to a lesser-talented One More Laugh. Three years ago a great pacer won his elimination and the final; Well Said. romped in a world-record 1:47.3. There has been many times when a horse that simply hit his peak trumps the best horse. Art Official, Southwind Lynx and Holborn Hanover, were a few. The elimination winner isn’t obviously a horse to beat. But before we get ahead of ourselves, lets look at the 2012 eliminations. Two eliminations drew in 16 horses (carded as Races 5 and 6). They will go off on Saturday, July 7 as the end of the Pick 5 and the beginning of the Pick 4. The first division features the return of Sweet Lou, who has a shoe change that could help him perform better than his disappointing North America Cup performance. Since then, he paced a 1:49 training mile. But he’ll have to go against the same tough rivals, ones that seem tougher now than before he failed in Canada. They are A Rocknroll Dance and Hurrikane Kingcole. This division is, perhaps, going to be the fastest of the two. We will take our shot with the entry of Bettor’s Edge and Allstar Legend. Bettor’s Edge was the underdog in the North America Cup, racing fair in his elimination and expected to do great in the final, except he had to settle for sixth. He rebounded in a New York Sires Stakes event at Vernon, winning as the 1-5 favorite in 1:50.4. He has the rail here and should get a great trip for an upset. Allstar Legend dead-heated for second with Bolt The Duer in the “Hempt” final, where he got a perfect trip and room late but was nipped by A Rocknroll Dance. He drew post 4 and should likely get a pocket trip and come late. You can’t leave out A Rocknroll Dance. He came back after tanking in the North America Cup and Hempt elim by winning the final as an outsider. If he gets the right trip, he’ll be iron tough but not at 17-1, which were his winning odds last week. In the second elim, Thinking Out Loud looks to shine after his 8-1 triumph in the North America Cup. But Time To Roll will be looking to show he’s best. He was a game second to Thinking Out Loud in the North America Cup and should get a better trip this week. Also watch Pet Rock. He won valiantly against older horses in a conditioned event at Pocono Downs. Before that, he broke in the North America Cup, but closed to regain 17 lengths through the mile. As long as he’s flat, he should be competitive. At Pocono Downs the player’s most frightening division, frosh-filly trotters, goes to post in four lucrative Pennsylvania All Stars divisions. The scare is a stigma for this group that has been known to produce some hefty priced winners. Let’s look around it. In division one on July 6, the recognizable Jimmy Takter will be supported by his two-time winner True Valentine. This leaves an opening for prospective upsetter Marion Mayflower. She could find a good spot and take advantage of saving ground while Takter’s gal deals with the outside and the crowded field. The second split could offer some value with Classic Martine. She is showing early promise and comes in to this race looking like a solid second or third choice, bargains at both statuses. The third mile finds Aspidistra Hanover raring to go after a Vernon Downs qualifier of 1:59.1, which is as good as this group seems to get, so far. Finally, Tatoo You was right behind “Aspidistra” in her speedy trial and could win at first crack with plenty of payoff power. The W.N. Reynolds hold divisions at the Meadowlands on Friday and Saturday. The July 6 and July 7 splits for glamour-boy-and-girl trotters and are covered on the Hambletonian Trail. Meanwhile, freshmen follies for fillies and frosh-colt pacers are presented in splits on Friday. In split one for the fillies, Nikki Beach, a daughter of the speedy Somebeachsomewhere, will get most of the attention at the windows unless the buzz for Mistrisstothestars is too strong and makes this one the favorite. Even then, there should be no overlooking Rocknrollnitemare. She is from the productive crops of Rocknroll Hanover and could be overlooked due to the aforementioned gals. Split two offers some mighty fast young gals, with Odds On Alpha already a 1:54.1 winner. She is another Somebeachsomewhere progeny. But speed can be relative in harness racing, especially during a horse’s first season. So, Jerseylicious is our probable value wager against “Alpha” and Shebesting, who just got by our choice last out in a Grand Circuit event. Frosh colts have become stronger over the years, if only judged by how many return at three with prowess. This year’s debut crop could follow through with the trend. In their first Reynolds split on Friday, a case could be made for any of the nine aboard. They are all maidens but for Troon, who was dynamic winning his first last week at this oval. He is one for one, three for three if you count his two qualifiers. But we will go with Ralbar, who has a post edge, speed and who only lost last out—his first pari-mutuel start—by going too fast too soon, a wide move that cost him the top spot. In their second mile, Rockaholic may wind up a big bargain. He should have the versatility of his bloodline and be able to close as well as lead, so without the weighty outside trips his most recent duo provided he could be in the perfect spot from post five to win at a very good price.